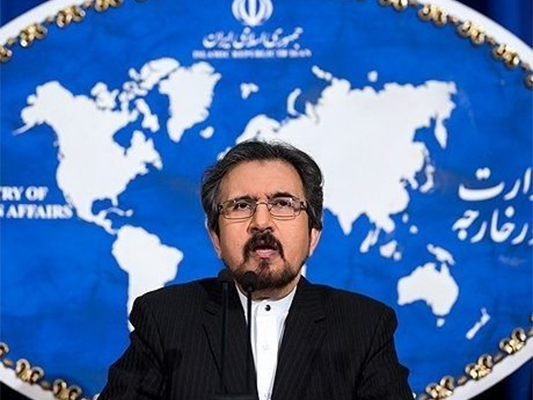 Iranian Foreign Ministry Spokesman Bahram Qassemi has strongly denounced and expressed deep regret over a deadly terrorist attack on a group of IRGC forces in the south-east of Iran, vowing to take revenge for the attack whose perpetrators are supported by certain regional states. In a Wednesday statement, Qassemi offered sympathy to the families of the victims and those injured in the tragic incident. He condemned the inhumane attack by the terrorist group that claimed responsibility for it, and said the group receives military, financial, and intellectual support from certain regional states. Such inhumane attacks will just make the Iranian nation and government more determined to continue its fight against terrorism in the region, he noted. Qassemi also vowed that Iranian intelligence and military forces will definitely take revenge for the blood of the incident’s martyrs.